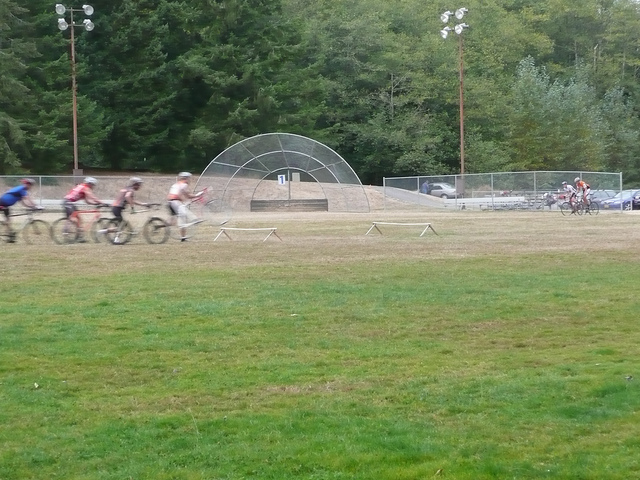 While hiking around Lake Padden, while I was swimming, my wife took some pictures of a group of about 20 mountain bikers performing some sort of practice or race. Curious if anyone knows what they were doing. They would ride around in these tight circles and then right in the middle of racing at top speed they would leap off their bikes and jump these two wood jumps then get back on their bikes and continue racing. They did this many times. 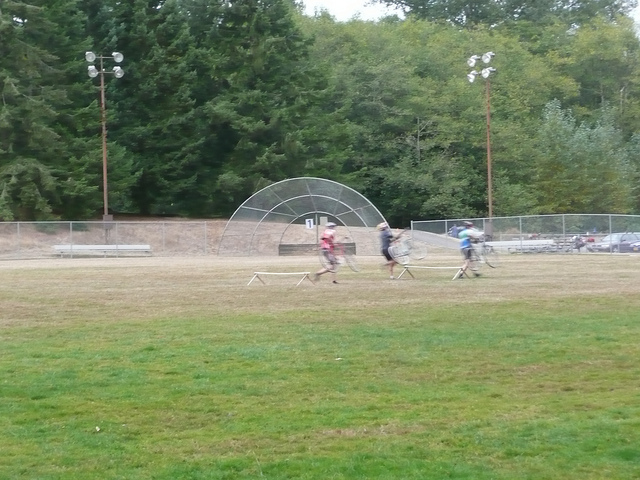 The pictures are blurry but I am going to post them in hopes that it will help identify what sport they were practicing. 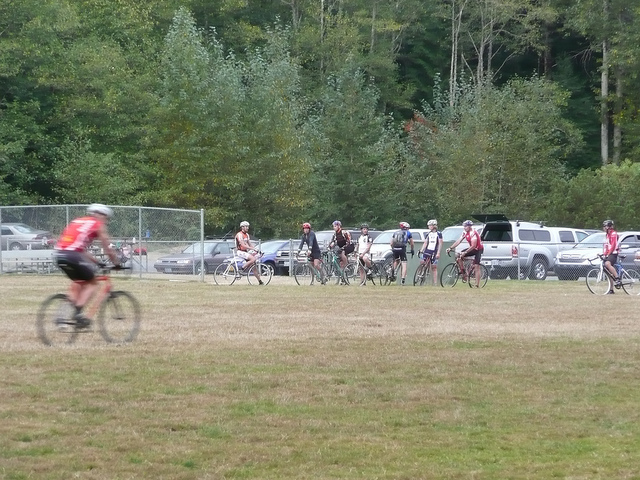 They are probably practicing Cyclocross. 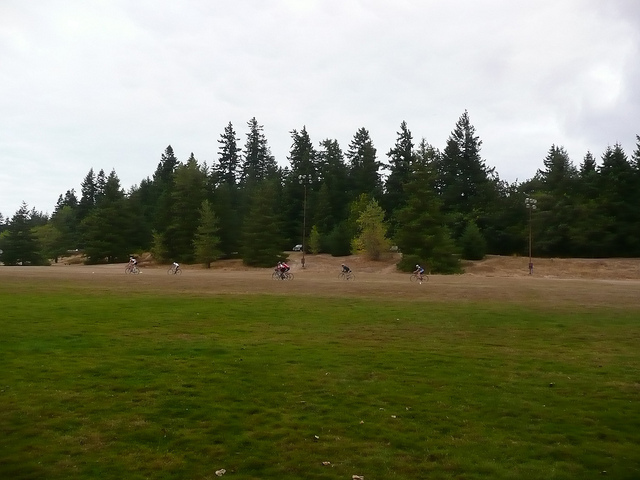 Big sport in the fall in the pacific NW. 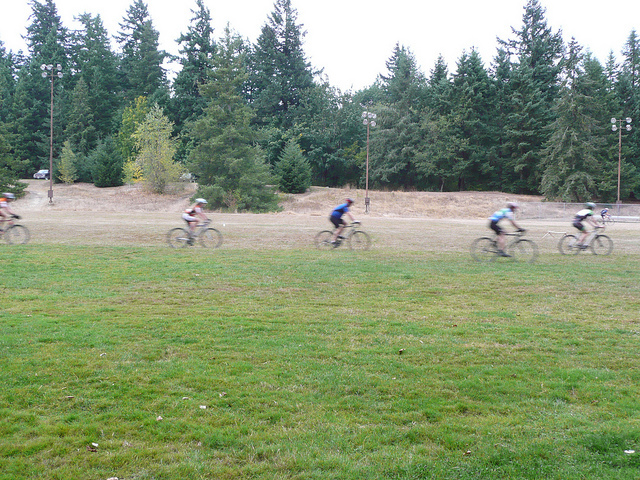 You have to do all sorts of gnarly dismounts and mounts, while running with your bike and over obstacles. It looks like fun but very hard.